Click here to download the Sponsorship & Exhibition Opportunities brochure. 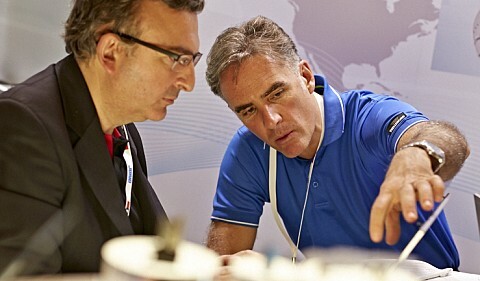 Over 90 companies exhibited in EuroBrake 2015, and 2016 promises to be the largest yet, with a modern and spacious exhibition hall at the MiCo, one of the world’s biggest conference centres. EuroBrake’s exhibition has rapidly sold out every year, and companies are advised to book well in advance of the event as in-demand booths are sold on a first-come, first-served basis. A range of sought-after sponsorship packages offer high level exposure for your company both in the run up to and during the event, that help position your company as a leader in braking technology. "The EuroBrake Conference and Exhibition is the most important meeting place for the world's friction materials and brake experts from R&D and production."